This Safari Package offers a complete experience from the Great Migration to complete tranquility at miles of secluded beaches by the Indian Ocean. Voted among the top 25 destinations in Africa by Tripadvisor 2017, the Masai Mara is the home of 1.3 million Wildebeest in migration. Add spectacular scenery filled with lion, cheetah, and leopard, and you are in for an unforgettable adventure. Combine the above with four nights at one of the worlds best-kept secrets, Diani Beach – voted one of the most beautiful beaches in the world. Here you will be staying at AfroChic which consistently wins Tripadvisor’s Travelers Choice awards. On your first day, you will get a transfer from Nairobi Wilson Airport to Samburu Intrepids Camp in the Samburu Reserve. On arrival at Nairobi Wilson Airport, make your way to the Safarilink counter to check in for your flight to Samburu. On arrival at the Samburu Airstrip, you will be met by your driver who will then transfer you Samburu Intrepids Camp. This luxury tented camp is built on raised decks overlooking the rich, brown river where elephants sometimes make an appearance or crocodiles come out to lounge on the river’s banks to bask in the midday sun. If you are looking to stay at the place that pioneered luxury tented camps in Africa, you should make your way to Northern Kenya to stay at Samburu Intrepids. The stereotype of the Kenyan wilderness is quite accurate: It is vast, and it is wild. Samburu Intrepids will bring this wilderness right up to your tent zipper because the camp overlooks a riverbank where animals often come to drink. The dry, rugged landscape of Samburu National Reserve plays host to the Big 5 and over 450 species of indigenous birds. Samburu Intrepids is located on the banks of the Uaso Nyiro River and features luxury tents with king-sized four-poster beds and a swimming pool. Open sided safari vehicles mean excellent game viewing, and the camp also offers cultural activities, stargazing, and child-friendly activities. 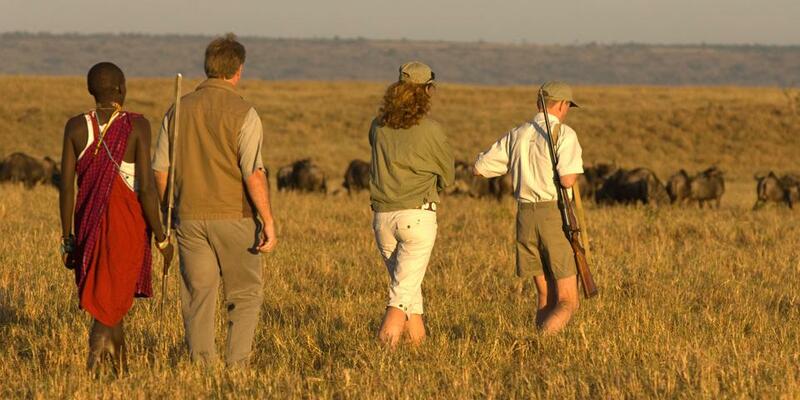 After breakfast on your last morning, you will be transferred back to the airstrip for your flight to the Masai Mara. The flight takes 1 hour 30 min after which you will arrive at the Musiara Airstrip and be met by your driver who will then transfer you to Governor’s Camp. This magnificent luxury tented lodge is situated perfectly on the banks of the Mara River, which is filled with bird and animal life. Hippos, crocodiles, and all manner of grazers and predators make their way down to the water at sunrise and sunset, only a stone’s throw away from the camp. 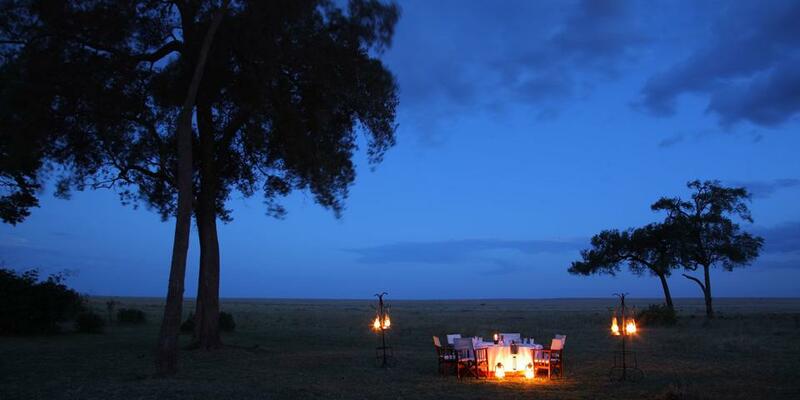 Governor’s Camp is in the western region of Masai Mara, right on the banks of the Mara River. The camp first opened in 1972 and has become one of the best know tented camps in Kenya. The river attracts a large number of animals, allowing guests to see animals such as elephant, hippo, crocodile, and buffalo right from the comfort of their tents. 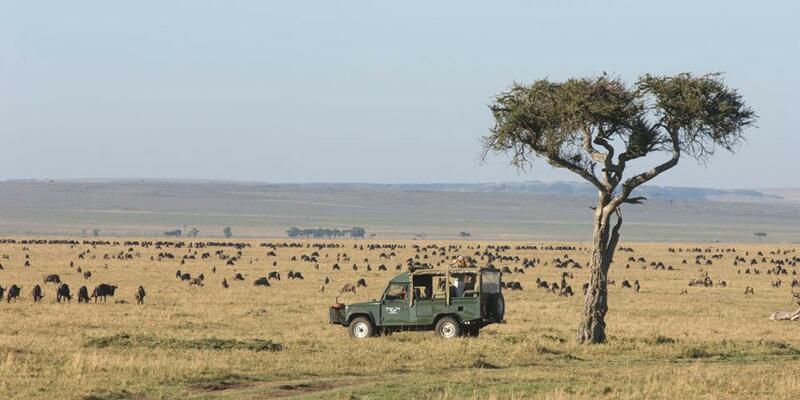 The Masai Mara is 1,672 square kilometers of outstanding wildlife and bird viewing in an unspoiled wilderness. It offers the best game and bird-viewing not only in Kenya but anywhere in Africa. The views across the rolling golden grasslands studded with acacia trees, rivers and forests are dazzling, the sense of space is overwhelming. The Masai Mara is the stage for the Great Migration, during which millions of wildebeest congregate in the area between July and October. Staying in one of the Governors’ Camp properties puts you right in the heart of the action, close to its incredible sights and sounds. For those travelers wanting to explore a more intimate safari experience, Little Governors’ Camp is just that. With just 17 luxury en-suite tents placed ideally around a large watering hole, you will wake up to the sights and sounds of nearby wildlife. Little Governors Camp has just been awarded a Bronze Eco-Rating from Eco Tourism Kenya due to the sustainable practices in place, and it has also been acclaimed as the leader in tented safari camps in Africa. On the morning of the 8th day, you will say leave the Masai Mara and fly back to Nairobi for the next stage of your Kenyan getaway. On arrival at Wilson Airport, check in for your next flight to Ukunda Airstrip. After a short 1 hour 30 min flight, you will be met by your driver who will then transfer you to AfroChic Diani Beach Resort. AfroChic is one of the most highly-rated boutique hotels on Diani Beach. Individual attention, spacious rooms, fantastic service, and an unbeatable location make this beach-side hotel a perfect stop on your Kenyan beach stay. Expansive white sands and azure water are just a part of the experience, with day trips to Shimba Hills Reserve and Mwaluganje Elephant Sanctuary adding to the Kenyan coastal experience. AfroChic Diani is a boutique resort situated on Diani beach, only 30 kilometers south of Mombasa. This pristine beach stretches for about 10 kilometers and is also close to several deserted beaches. The shore water is shallow and the inland vegetation thick, creating a beautiful setting. The warm Indian Ocean water ensures that it remains a great beach holiday destination all year round. After a beautiful holiday filled with experiences of a lifetime, it is time to head on home. After a hearty breakfast on day 12, you will be transferred to Mombasa Airport for your 1-hour flight to Nairobi and connection to your international flight.